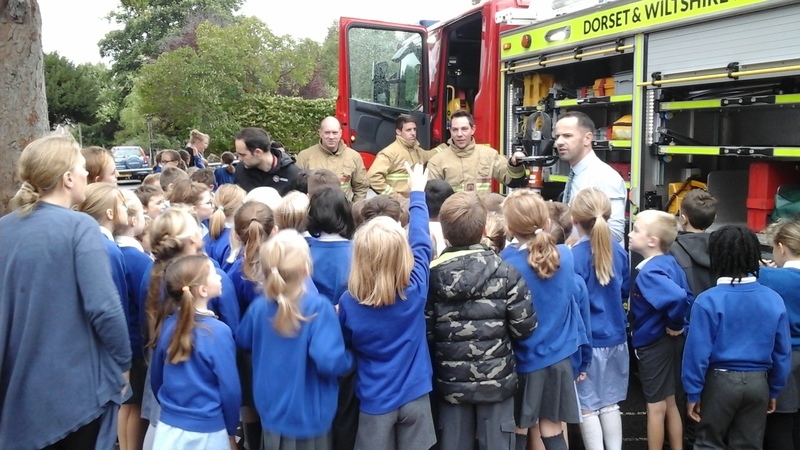 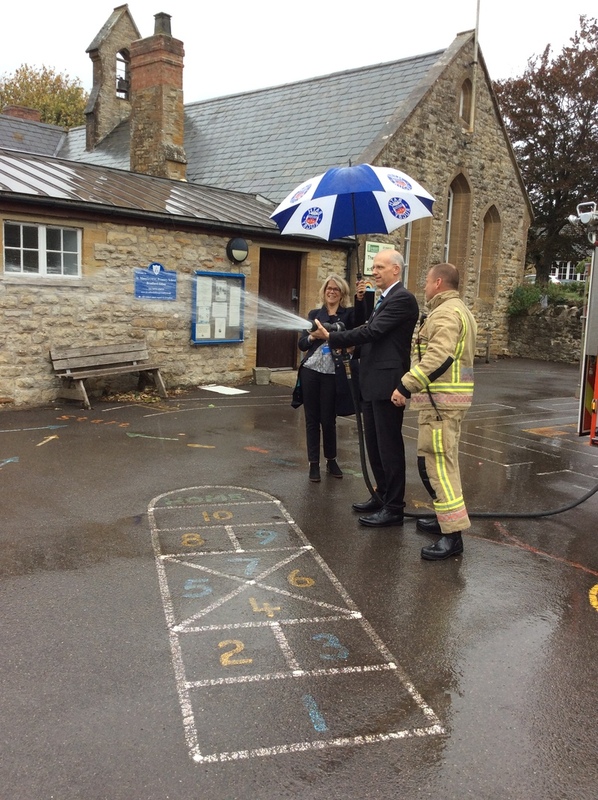 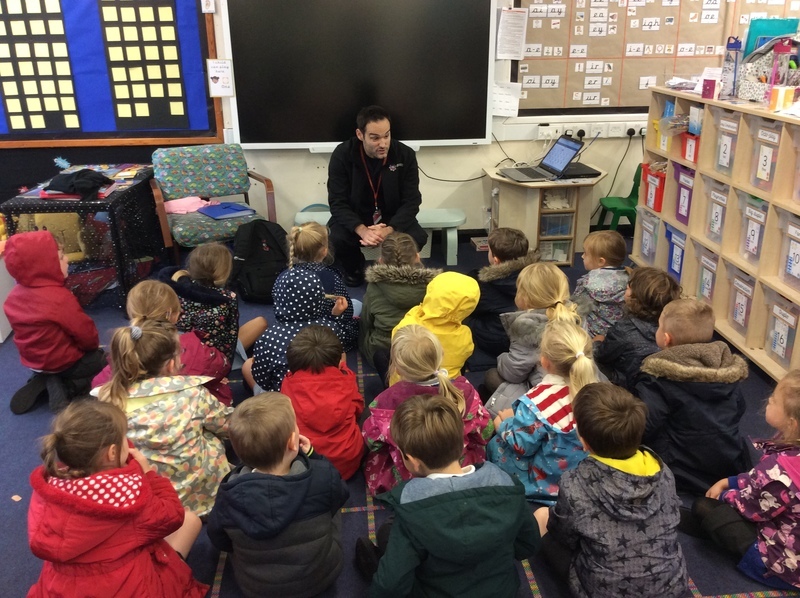 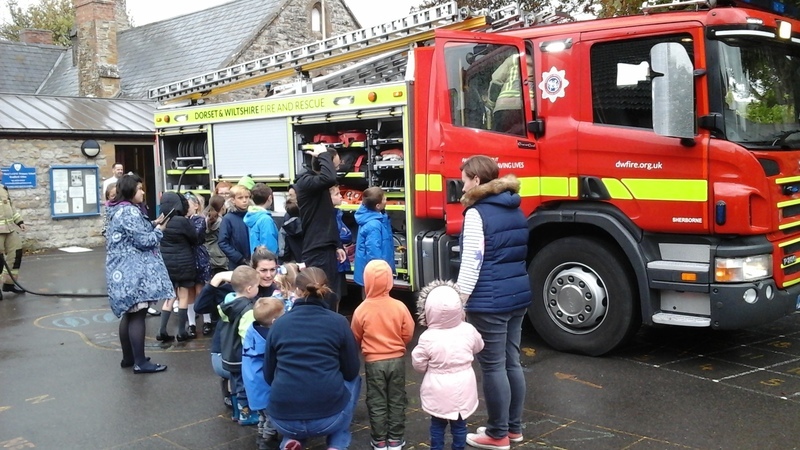 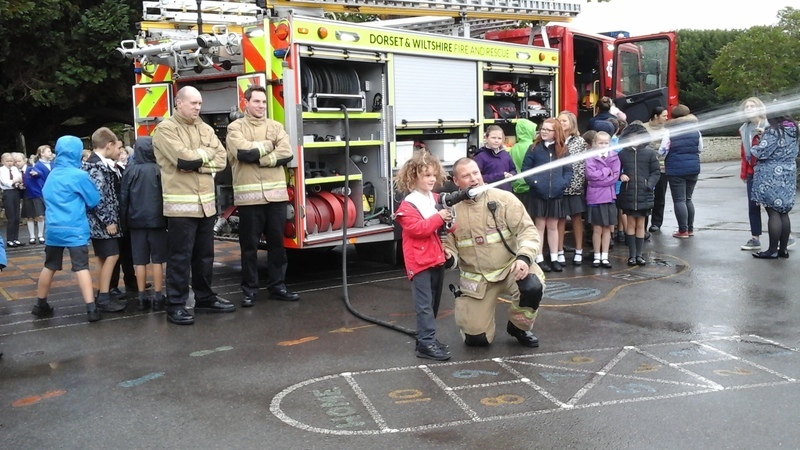 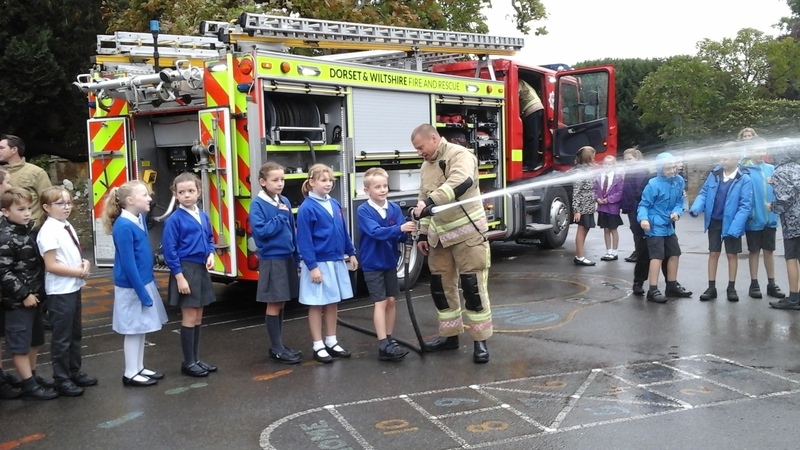 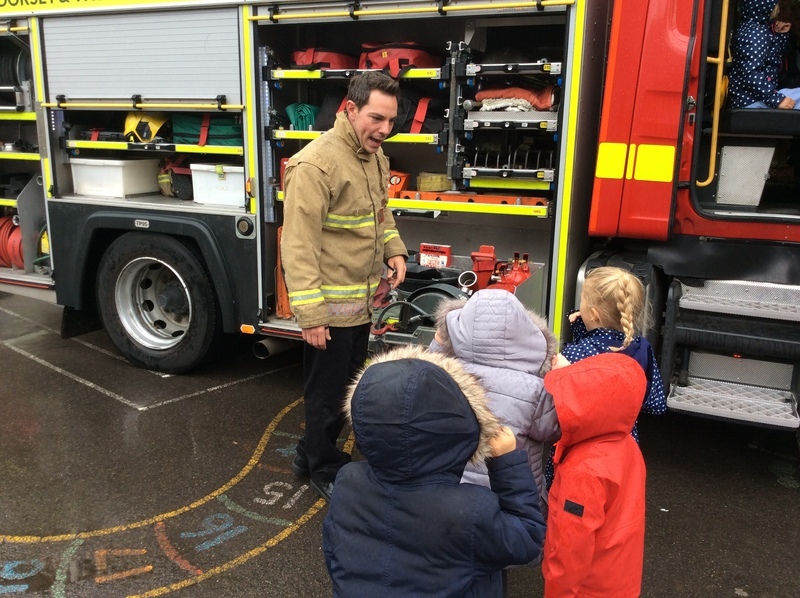 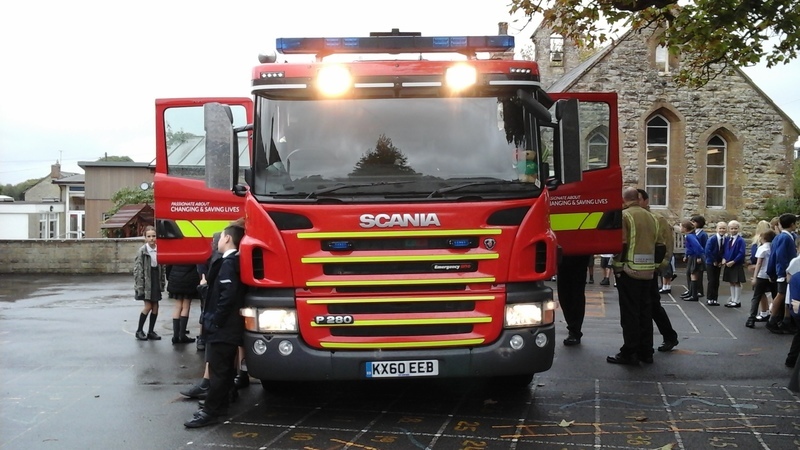 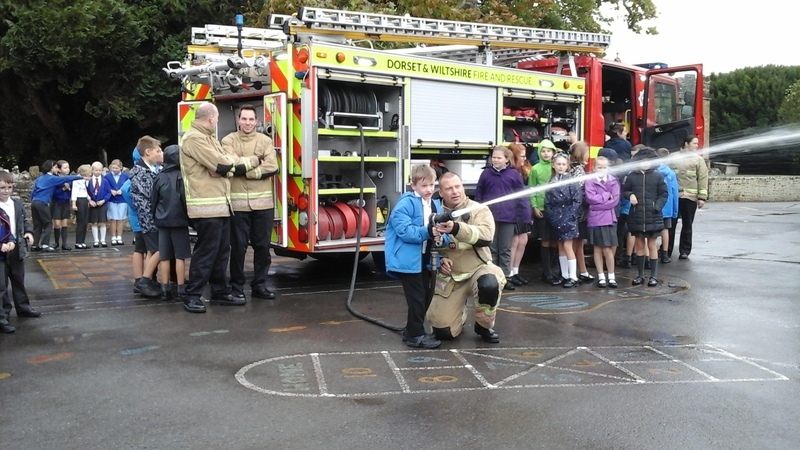 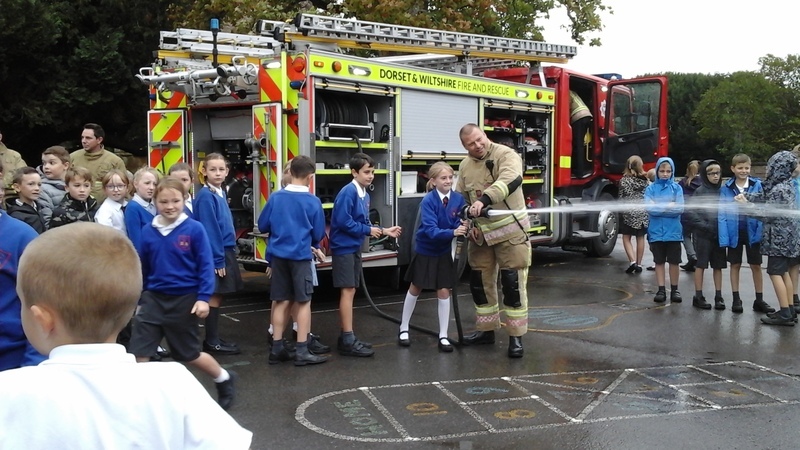 Our children really enjoyed meeting the Fire Officers from Dorset and Wiltshire Fire Service today - all retained fire fighters who had given up their time to spend with our children. 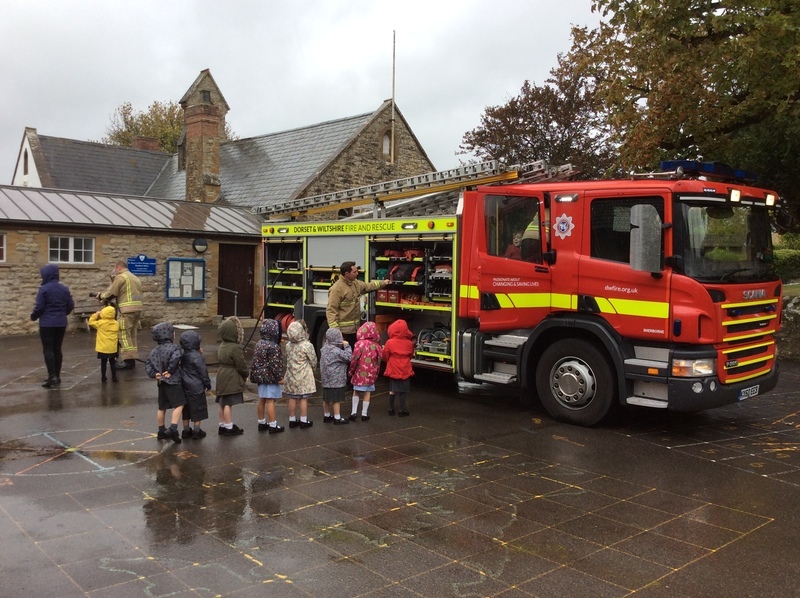 The Officers explained all about the equipment they use to carry out their work and the children all got the opportunity to sit in the cab. 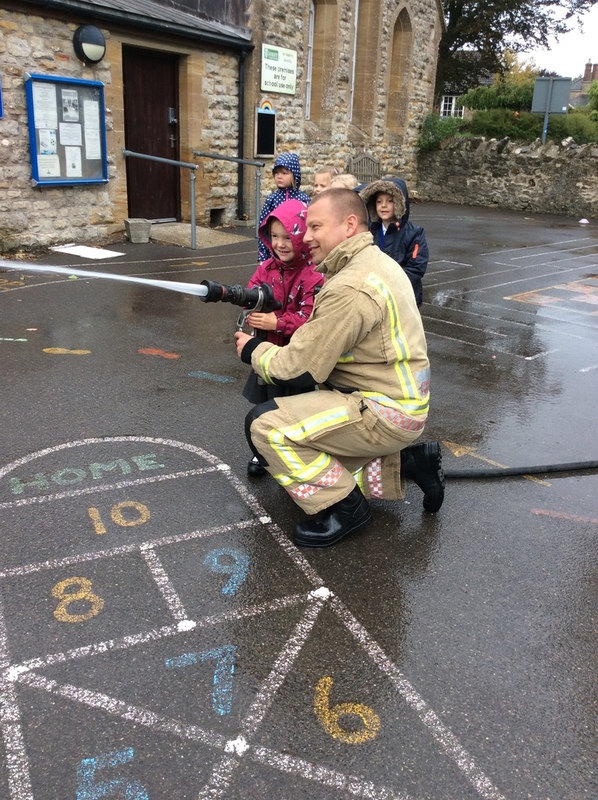 The bit they most enjoyed was fighting the imaginary fire though! 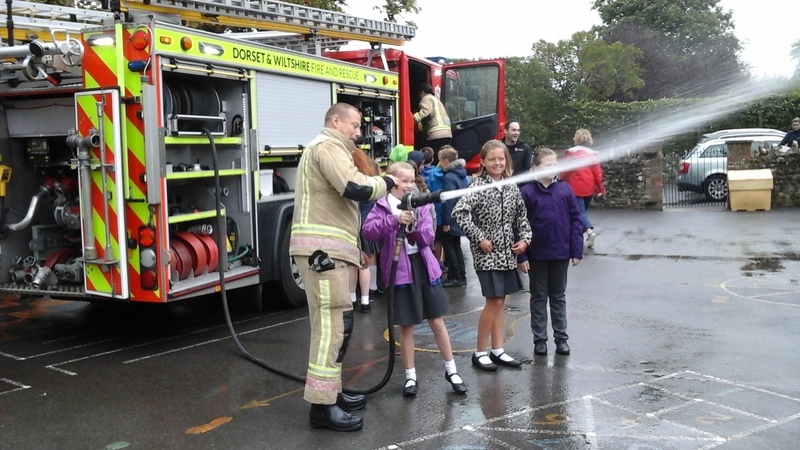 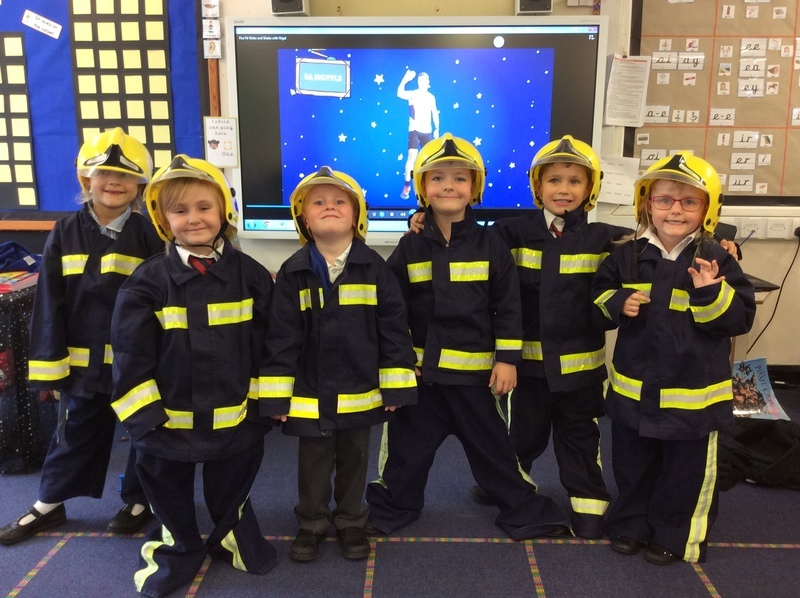 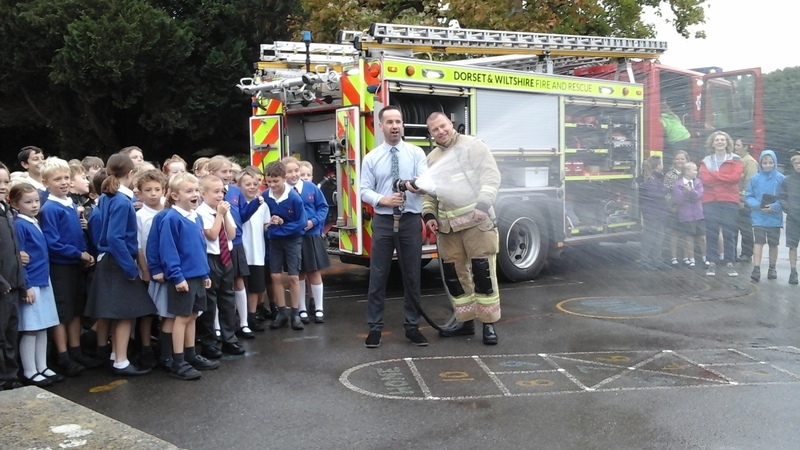 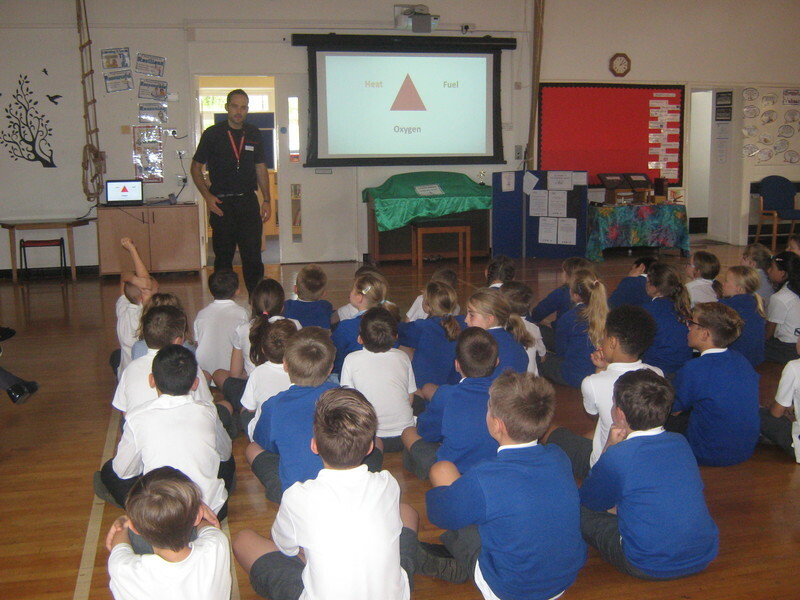 Afterwards they all had a lesson from Gareth, the Education Officer, learning all about fire safety in the home.